NABARD Grade A 2019 Notification and Complete Selection Process. 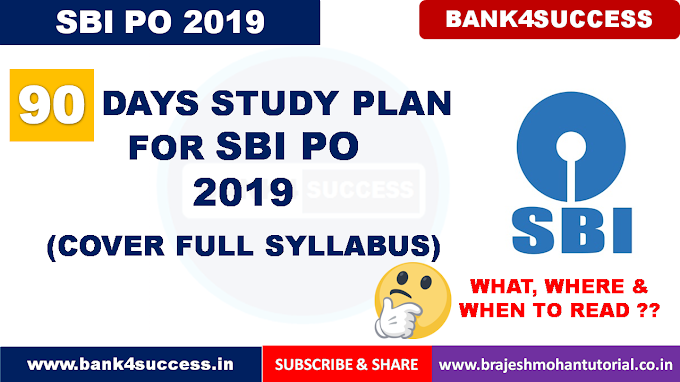 In this Article we will discuss about how to Prepare NABARD Grade A 2019 along with NABARD Grade A 2019 Syllabus, Books and Study Materials, Exam Pattern, NABARD Grade A Salary and Job Profile and NABARD Grade A Previous Year Cut off and Exam Analysis. National Bank of Agriculture and Rural Development (NABARD) releases Recruitment Notification every year to select eligible candidates for the post of Grade A and Grade B Officer in the Rural Development Banking Service (RDBS) through NABARD Grade A & B Exam. Due to Direct Recruitment for Officer Level Posts, NABARD Grade A and Grade B Exam attracts thousands of Banking Exam Aspirants all over India to Fill the NABARD Grade A & B Exam Application Form.National Bank for Agriculture and Rural Development is an apex development financial institution in India, headquartered at Mumbai with regional offices all over India. This apex financial institution of India has its branches all across the country and looks after the planning, operations and managing policies that accelerates the face of agriculture and economic condition of rural areas in India. 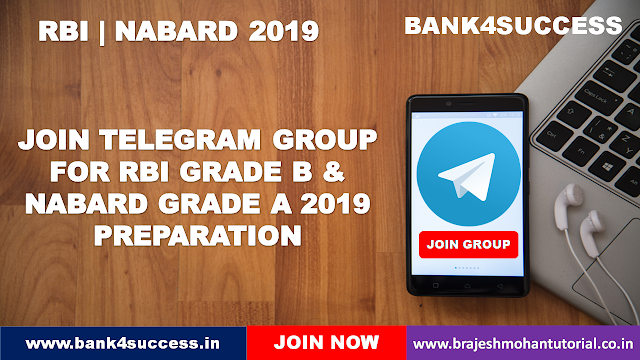 NABARD Grade 2019 Notification will be released for Total Nine Different Types of Post or Vacancy. Every Year Half of the Posts are released is for NABARD Grade A General Post. Two year full time P.G. Diploma in Management / full time MBA degree from institutions recognized by GOI / UGC with Bachelors Degree in any discipline. Bachelors Degree in Veterinary Sciences / Animal Husbandry from any recognized University with a minimum of 50% marks (SC applicants 45%) in aggregate or Post Graduate degree in Veterinary Sciences /Animal Husbandry with a minimum of 50% marks (SC applicants 45%) in aggregate. Bachelors degree in any discipline with Membership of Institute of Chartered Accountants of India (ICAI). The Membership of ICAI must have been obtained on or before 01 March 2018.
aggregate from a recognized university. Candidates with Economics as one of the main subjects at all years/semesters of the course, will only be eligible. Bachelors degree with Environmental Science / Environmental Engineering as a subject with 50% marks in aggregate or Post graduate degree in Environmental Engineering or Environmental Science with 50% marks in aggregate from a recognized University/Institution. Bachelors degree in Food Processing /Food Technology with 50% marks in aggregate (ST applicants 45%) or Post graduate degree in Food Processing /Food Technology with 50% marks in aggregate (ST applicants 45%) from a recognized University/Institution. 50% marks (SC/ST applicants 45%) in aggregate or Post Graduate degree in Engineering/ Hydrology/Applied Hydrology or Geology/Applied Geology with Hydrology / Irrigation / Water Supply & sanitation as one of the subjects with 50% marks in aggregate (SC/ST applicants 45%) from a recognized University. Bachelors degree in Social Work with 50% marks in aggregate or Post Graduate degree in Social Work with 50% marks in aggregate from a recognized University. One of the reasons behind choosing any kind of job is the reward that you will get after serving in any job position from the monetary aspect. Rewards may largely include other allowances, perks and benefits also, but the main thing is the salary that is received at hand. NABARD can be counted among the best paying jobs in India. A ‘NABARD Grade A’ officer receives a basic salary of Rs, 28,150 pm/- in the scale of 28150-1550(4) -34350-1750(7) – 46600 –EB - 1750(4)- 53600-2000(1)-55600 applicable to Officers in Grade 'A' and they will be eligible for Dearness Allowance, Local Compensatory Allowance, House Rent Allowance, and Grade Allowance as per rules in force from time to time. At present, initial monthly gross emoluments are approximately Rs. 55587/. NABARD 2019 will be conducted in three phases: Preliminary Exam, Mains Exam and Interview Process. Let's have a look at all these three phases one by one. NABARD Preliminary Exam: It is an online exam constituting of 200 marks that needs to be completed in 120 minutes or 2 hours. NABARD Mains Exam: It is a combination of Descriptive Test and an Online Exam. The Descriptive Test is common for all but the Online Test will be conducted separately for different posts as the syllabus for different posts offered through NABARD 2018 Exam is different. Interview Process: Candidates who clear Mains Round are further called for Interview Process to complete NABARD Recruitment Process. Candidates clearing the Interview Process are offered the appointment letter by National Bank of Agriculture and Rural Development. The application is the first step in an examination process, once the notification of any exam gets released. It is one of the most important parts of the procedure and therefore you need to be well aware of the complete application process. New registrants must click on the ‘Click here for New Registration’ tab and provide details such as full name, email ID and contact details. Registrants will receive a Provisional Registration Number and Password. Use these login credentials to complete the form by providing correct details. Validate the details by selecting ‘Validate your details’ and ‘Save & Next’ button. Upload the documents (Photo & Signature) taking care of the specifications. Verify for the last time before ‘Final Submit’. Select ‘Payment’ tab to remit the application fee. How much percentage increase was suggested in MSP in Budget? What does R stand in RURBAN? Pradhan Mantri Kaushal Vikas comes under which department? Deendayal Antodaya Yojana – National Rural Livelihoods Mission launched in which year? Which type of soil is found in West Bengal? What was the agriculture growth rate of the last year as per the Economic survey? Which of the following is a micronutrient? Out of cow Sheep Goat etc whose milk contains more fat? Out of rice, wheat, Barley, maize which one is Rabi crop? In which state saline water availability is more? Translate button comes under which tab? A question related to object-oriented programming. A question related to the body of the e-mail message. Elements used in HTML to display images. Related to data structure technique.